Gender Studies 125 – with cats. Silver Linings Playbook was one of the most talked about movies heading into last Sunday’s 85th Academy Awards with nominations in all four acting categories. After eight months of rehabilitation, Pat, a man who suffers from bipolar disorder, is released under the condition that he continues his therapy while in the care of his parents. Learning that his cheating wife, Nikki, has moved on after a violent outbreak, which resulted in Pat’s admission into the mental institution, he struggles to get his life back in order. It is not until he befriends Tiffany, a widow who also suffers from an unnamed mental disability, that he is able to find a peaceful and loving relationship again. The movie was inspired by, filmmaker, David Russell’s son Matthew, and his struggles with bipolar disorder. The success of the movie has brought awareness to this, and other mental disabilities, such as obsessive compulsive disorder. Despite being categorized as a romantic comedy, the film shows the dark battle that many experience and the stigma attached to those with mental disabilities. Pat admits that he did not know he was living with bipolar disorder until his wife’s affair triggered his violent response. Until then, he understood that he experienced dramatic mood swings, but believed he could control his emotions and actions. Consequently, along with rehabilitative therapy, he is instructed to take medication to control his temperament and emotions. Initially, he rejects the medication: he is in denial that it is necessary. It is disheartening to think that there are people who despite being dependent on medication to manage their condition, think otherwise and fear social rejection. The invisibility of their impairment makes it difficult for people to see and understand their ideas and behaviour. There is a stigma attached to medication needed to control the symptoms of mental disabilities: it can be viewed as a taboo within society. Those with psychological disabilities tend to be discriminated and distanced from “able” individuals unless effort is made to “correct” the particular disability. This can be especially difficult for some, like those similar to Pat in Silver Linings Playbook, who do not identify as having a disability. One’s identification is important, and has a significant impact on the willingness to accept help. Just as Jennifer Lawrence stated, it is important to raise awareness about mental disability in order for there to be progress in overcoming the stigma associated with the disorder. The use of popular culture and mainstream media is a powerful tool to help raise awareness. 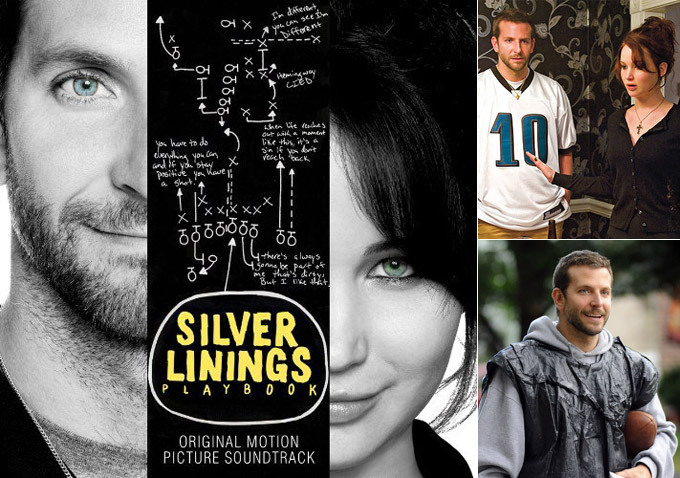 Movies like Silver Linings Playbook demonstrate the important role society’s acceptance and understanding of mental disabilities plays in order for those suffering to gain the courage and confidence in self-acceptance. Rather than living in ignorance and being ashamed for their differences, society benefits as a whole when prejudice does not exist. In the end, all humans are the same; capable of loving, supportive, and honest relationships regardless of ones abilities or disabilities. I had no idea that this movie was inspired by Russell’s son! That is a very cool fact! Regarding your comments on medications related to mental disabilities, I completely agree with you that a stigma exists around being dependent on drugs for this reason, and definitely believe that this shouldn’t remain. Many individuals need these in order to prevent self-harming or harming others, a situation that could be much worse than depending on a medication. Just to play devil’s advocate, does anyone think that drugs are being prescribed too frequently by doctors trying control mental disabilities within patients? 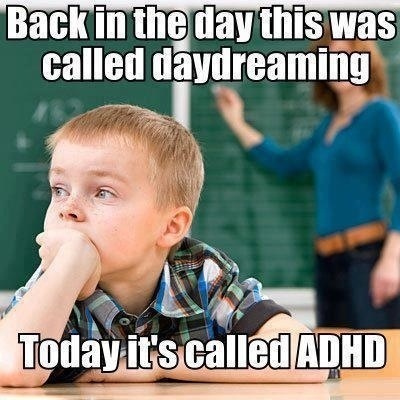 You always hear about the increasing number of young children being put on Ritalin or Adderall to control symptoms of ADHD, but should these prescriptions be given out so easily? Are families doing enough to try and deal with the illnesses through other methods (such as therapy, sports, art, etc) without medicating their children? Or is doing so just becoming the ‘norm’? I agree with chairmanmeow in the sense that a stigma exists around drugs and disabilities. It is a fact of life that there are countless types of disabilities ranging from physical, mental, to emotional in society and that people are constantly being diagnosed with prescriptions for assistance. While I am completely in support of society seeking out medical assistance as each person understands their own situation best, it is the negative stigma that surrounds these disabilities that i find most concerning and saddening. It was brought to my attention the past few weeks that many films express this negative stigma of disabilities and show that a person must compensate for their problem. Taking the film Avatar for example, Jake Sully suffers from a physical disability. He overcomes and compensates for his disability by achieving a new, strong, beautiful Na’vi body and no longer be restricted to a wheel chair. The main character Mumble in the film Happy Feet also has a disability that makes him stand out in society; he cannot produce the mating call that is singing. His character makes up for his disability by being an amazing dancer and having fantastic rhythm. It is a sad reality that so many films express disability as something that must be compensated for. In Silver Linings Playbook however I was happy to see that it expressed the concept of “invisible” disabilities and the fact that we should treat all people the way we treat those who we don’t know have a disability; the same as everyone else. Each person is equal and has their own strengths and weaknesses that should be celebrated, not “made up” for. This movie was incredibly interesting, and a slight eye awakening into the dark reality that often comes along from mental disorders. I agree that this was a great film to help raise awareness of the hurtful and often untrue stigmas that are placed around drugs that help with mental disabilities. Like depicted in the movie, often people who suffer from these disabilities are often seen as crazy, violent and dangerous. However, as soon as they take medication to help with these ‘symptoms’, they’re then viewed as strange and an outcast, as they aren’t able to deal with the every day actions in one’s life. I do believe this is a real issue as many Canadian’s and individuals all over the world are struggling to cope as well as be accepted with this disabilities, however, I think that medication for these disabilities are too often prescribed. Although is a rapidly growing awareness, I believe that since some mental disabilities can be hard to test for or identify, many doctors will just give out the medication regardless. Personally, I know multiple people who don’t have the mental illness they claim to, but are still being prescribed drugs such as Ritalin and Concerta. This meme depicts my thoughts nicely. Thoughts? Aside: For those of you who have seen My Week with Marilyn, I thought that this movie also shed a bit of light on her personal struggles with mental health and the darkness she often felt because of it. Snicklefritz, I totally agree that some doctors are too quick to write a prescription. Yes, I understand that many people truly do rely on medications to manage their disabilities (be it mental, physical, or any sort of invisible disability), but there are just as many individuals who purposely obtain prescriptions for the wrong reasons. I definitely know a few people who have gone to their doctor knowing how easily they would be able to get a prescription for Adderall, with every intention of using it to excel in school, or selling it to make a profit after. I definitely believe that their needs to be a more definitive, reliable way of testing for certain mental disabilities, and that doctors need to be more diligent in offering alternative methods. Even if appropriately prescribed, no one wants to be reliant on pills for their entire life, and I think emphasis needs to be placed on working through the problem without medicating, if at all possible. I agree – I feel doctors are too quick to prescribe medication to deal with mental (or physical) illness. I find it ironic that it’s those who have disposable incomes (so those who are not lower class) who are the ones that abuse medication. At the same time, these are the SAME individuals who are likely to give those with disabilities a hard time. It’s okay to use medication in order to enhance one’s performance for something other than the medicine’s intended use, but no when medication actually NEEDS to be taken to manage a mental or physical disability? When you think of it this way, who’s really in the position to make these judgements and define these stigmas? Why exactly is medication considered necessary for neuro-variant conditions such as bipolar disorder? Why is rejecting the medicalization of neuro-variant conditions potentially dangerous? How can non neuro-variant individuals support individuals who are neuro-variant in non-paternalistic ways? Do neuro-variant individuals have a responsibility to “out” themselves in order to combat stigma? As portrayed in the movie, bipolar disorder can have potentially dangerous effects to not only the individual, but among family and friends as well. In Pat’s case, he had an unstable tempter which led to violent episodes – therefore, it was to everyone’s benefit that he maintain his medicine regime. It is important that non neuro-variant individuals remain patient and supportive of the individual. They must not treat them differently or talk down to them. This is especially important given the fact that they know full well the effects of the medical condition. It is the responsibility of family and friends to help build their confidence. If family and friends have done their job, then the individual should be confident enough to share the reality of their condition with others. If that’s the case, then even if there is a stigma on those with nero-variant conditions, it shouldn’t matter to the individual. Like anyone who experiences differences beyond what is perceived to be “normal,” as long as they have confidence and self-respect, what others think shouldn’t matter.